Meet artworxLA's new Board Chair! Welcome our new Board Chair Joe Skeehan! Board Member Joe Skeehan is stepping up to the role of Board Chair and will serve in this position for two years. Joe joined our board in 2005 and has shared his wisdom in business management and financial leadership with artworxLA. As Board Chair, Joe will guide artworxLA through the development of our new artworxLA Academy located just south of downtown LA, and our expansion to 30 continuation high schools across Los Angeles County in the 2018/19 academic year. 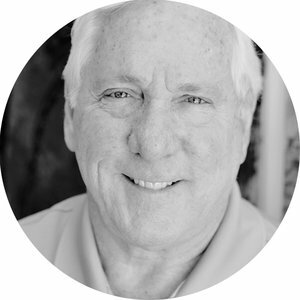 Joe is a CPA who founded the accounting, finance, and consulting firm Skeehan & Company 38 years ago. He also serves on the Board of Directors of St. Francis High School and Villa Esperanza. We also send our deep gratitude to Grant Kirkpatrick for serving as Board Chair for the past two years. Thank you Grant and congratulations Joe! Joseph W. Skeehan is the founder and CEO of Skeehan & Company, a professional service corporation that engages in accounting, finance and consulting services to numerous small to mid sized companies and organizations primarily in Southern California. The Company is a member of the AICPA and the California Society of CPA’s.